New Delhi, December 26, 2016: Dabur India Limited, India’s leading Science-based Ayurveda firm, has been awarded ‘The ICSI National Award for Excellence in Corporate Governance’ for 2016 by The Institute of Company Secretaries of India (ICSI). Minister of State for Commerce and Industry Nirmala Sitharaman presented the ISCI National Award to Dabur India Ltd Director Dr. Ajay Dua, Group Director Mr. P. D. Narang and Company Secretary Mr. A K Jain at a glittering awards ceremony organized at Vigyan Bhawan, New Delhi. Dabur India Limited was presented the National Award for its implementation of exemplary practices in Corporate Governance, Board Structure and Processes, CSR and Sustainability, Stakeholders Value Enhancement and Transparent and Disclosure Compliances. In continuance of its commitment to good corporate governance, the ICSI bestows the National Award for Excellence in Corporate Governance every year on the Best-Governed Companies in India. “Corporate governance and transparency in action are of high priority for Dabur India Ltd. Strong and transparent corporate governance practices are an integral part of our culture and are truly integrated in our business operations. We have not only followed all the legal and regulatory requirements, but also developed corporate governance guidelines for ourselves. This award is the most recent recognition of the good Corporate Governance practices followed at Dabur India Ltd,” Dabur India Ltd Group Director Mr. P D Narang said. 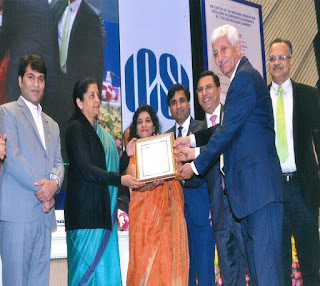 Dabur had earlier won the ICSI National Award for Excellence in Corporate Governance in the year 2014. Prior to that, Dabur was awarded the 5TH ICSI National Award for Best Governed Company for Excellence in Corporate Governance in the year 2005. Dabur has also won the Golden Peacock Award in Corporate Governance apart from the Best Board award by the Economic Times and Hay Group in the year 2012.